BGF Industries Inc. will move to Cyber Park in Danville. BGF Industries Inc. decided to move its corporate headquarters and research and development operations to the Cyber Park in Danville after learning about the area’s workforce development efforts. BGF makes high-performance technical fiber materials. Matt Rowe, director of economic development for Pittsylvania County, worked with the company for almost two years, walking representatives through the workforce programs in place at local community colleges and the Institute for Advanced Learning and Research. Even though Cyber Park was not the most cost-effective choice for the company, Rowe believes being located there and having the access to workforce programs “outweighed the difference of the cost,” he says. 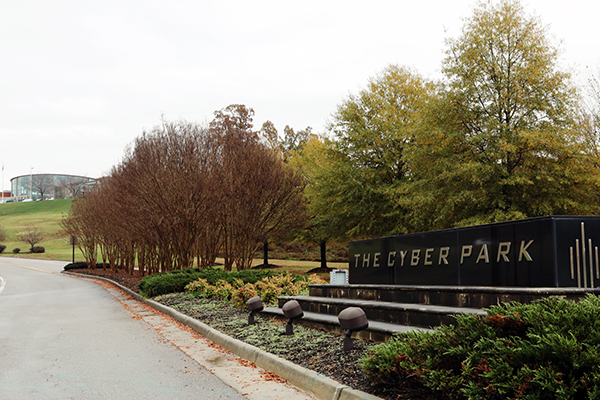 Cyber Park is owned by the Danville-Pittsylvania County Regional Industrial Facility Authority. BGF will invest $7 million in relocating from Greensboro, N.C., to the Cyber Park where it will build a 25,000-square-foot facility next year. As part of the deal, the region received a $275,000 grant from the Commonwealth’s Opportunity Fund and $620,000 in Tobacco Region Opportunity Funds for the project. This isn’t the company’s first facility in Virginia. Four of BGF’s six U.S. operations are in the commonwealth — one in South Hill and three in Altavista. The Cyber Park site is expected to employ 65 workers (both existing and new) within a three-year period. BGF sees the area’s growing aerospace and automotive research segment as an added benefit. “Cyber Park is becoming an aerospace hub, and that is one of our largest business units,” Barbour says. The company makes lightweight fabrics that are used in the interior of aircrafts.